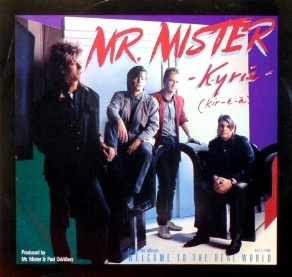 Mr. Mister, “Kyrie” Single Cover, August 8, 2010. Vanjagenije. Qualifies as fair use under US Copyright laws because of the image’s low resolution and because image illustrates subject of this blog post. Twenty-five years ago this week, Mr. Mister’s “Kyrie” made it to the top of the Billboard pop charts, making me goofy and giddy beyond belief. March ’86 was the beginning of a great month of music for me. I bought my first Walkman — a Walkman-knockoff really — from Crazy Eddie’s on 47th and Fifth in Manhattan, as well as the first of what would be about 200 cassettes of my favorite music. Not to mention a ton of musical experimentation — most of it bad, goofy and un-listen-able for even the musically impaired. For many of you, Mr. Mister’s “Kyrie” would likely fall into that last category. It was semi-religious rock at a time when the closest thing to that was Amy Grant. It was Creed a whole decade before Creed, but with better musicians. It was a group of studio musicians putting out a breakout album that actually stood apart from the super-serious or super-sugary music of the mid-80s. It was a perfect storm for a sixteen-year-old in search of inspiration beyond the chaos of 616 and the lonely march toward college via Humanities and Mount Vernon High School. “Kyrie” was one of two songs that kept me in overdrive in and out of the classroom through most of my junior year at Mount Vernon High School. Simple Minds’ “Alive and Kicking” was the other song. It almost became my mantra in the months that straddled ’85 and ’86. Every time I heard that song, especially the album version, was like going on a game-winning touchdown drive at the end of the fourth quarter. Studying was time to throw screen passes or seven-yard slants, to run the ball on a power sweep or on a draw play. 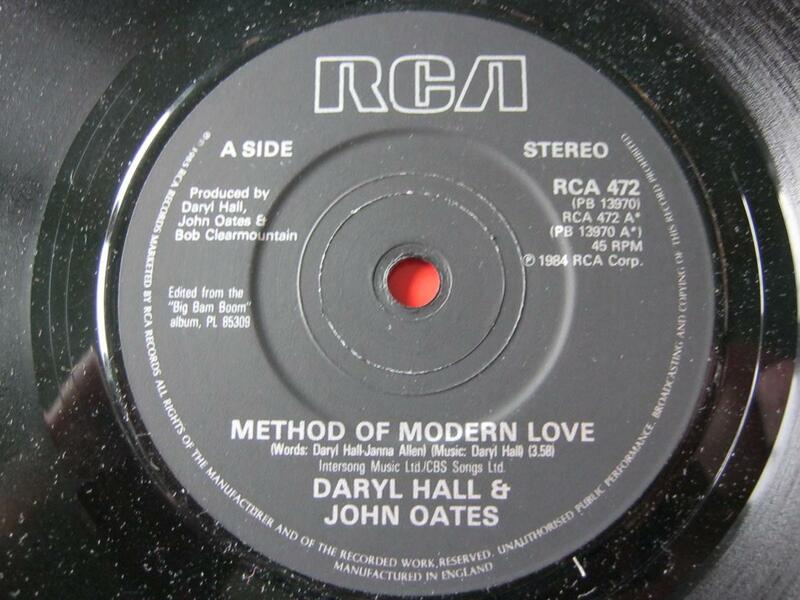 It was methodical, the drums and synthesizers, and put me in a determined, methodical mood as I prepared for a test. But Mr. Mister’s “Kyrie” was magical. Short for “Kyrie Eleison” Latin/Greek for “Lord have mercy,” it became my go-to song for every big academic play I needed to make for the rest of the year, even for the rest of high school. “Kyrie” combined all of the elements that my vivid imagination relied on. My faith in The One, my hope for a better future, lyrics that made me think, music that evoked a big play, like throwing it deep and completing it for a game-changing score. It was as methodical as “Alive and Kicking,” but the bigger bass guitar and heavier synthesizers as the background gave me the feeling that God’s grace was with me wherever I went and whatever I did. It was a true underdog’s song. It was like I was singing a high-falsetto, four-and-a half-minute prayer whenever I played “Kyrie.” Some of my classmates, as usual, didn’t appreciate whatever deeper meaning I saw in the song or in its lyrics. See, my being Black and high-pitched singing to it was another obvious sign of my weirdness. Yet somehow, when it came to music, I didn’t really care what any of them thought. As I went off to college and became more sophisticated in my understanding of music, I realized that there were some songs I couldn’t completely part with, no matter how goofy or out-of-date the music video was. “Kyrie” was one of those songs for me. I didn’t play it regularly by the time I’d reached my mid-twenties, but that didn’t mean that I didn’t sing to it in high-falsetto while shopping at Giant Eagle in Pittsburgh when the song would come on over the PA system. Once iPod and iTunes technology became part of my household in ’06, I uploaded the old song and listened to it regularly again. 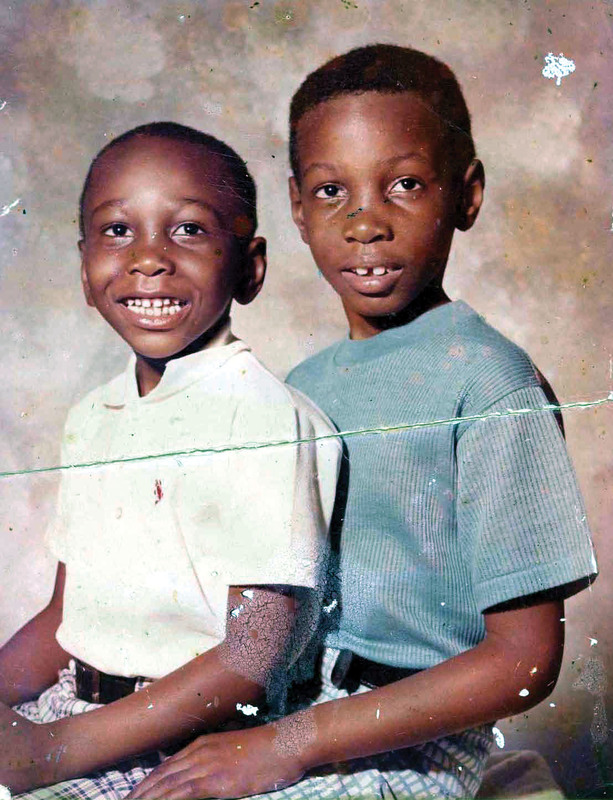 I’ve wondered from time to time what would the sixteen-year-old version of me would think about me at forty-one. I’ve achieved more, and been hurt and lost more, than I could’ve possibly imagined a quarter-century ago. Today’s date marks a full twenty-five years — a whole quarter century — since me and my AP US History classmates rolled out from Mount Vernon High School at 6:30 am for a trip to Albany and Hyde Park. But nothing historical was especially eye-opening on this date. No, it was really more about the people, one in particular, that made this time an a-ha moment. Our eccentric and late AP US History teacher, Harold Meltzer, used this trip to get us out of the classroom. to make history and government more real to us. We — meaning our AP class and folks from Meltzer’s Government class — went to Albany to meet our state representative and to learn a bit about the history of New York State’s governance. We also made a stop to visit the FDR mansion in Hyde Park. The trip to Albany was itself a three-and-a-half hour school bus ride. Besides the standard exaggerated bouncing up and down we did whenever the bus hit a bump somewhere along I-87 North, there were a couple of things to note. It was my first time outside the New York metro area since ‘78, when Darren, my mother, my soon-to-be-stepfather and I went to Amish country in Pennsylvania. The Roosevelt’s master bedroom and “king-sized” bed was much smaller than I thought. FDR and Eleanor both looked pretty tall to me in their pictures and in those ’30s newsreels. And the Norwegian pop band a-ha had climbed to the top of the Top-40 pop charts with “Take on Me” a few days before. A-ha? Well, “SD” had a brand-new $150 Aiwa Walkman (its normal retail value in ’85) with a state-of-the-art design and stereo system, including Dolby noise reduction and equalizer controls. The entire trip to Albany and Hyde Park and back she played a-ha’s Hunting High and Low album nonstop on the bus. After hearing the beginning of the song for what seemed like the 117th time, I chimed in, and SD sang briefly out loud with me: “Talking away, I don’t know what I’m to say….” I’d heard the lead singer’s “TAAAAAKKKKEEE!” without the need for an interpreter so many times already, since SD sat a row or two behind me. So me being me, during the return trip I attempted to hit the same high falsetto note to see if I could compete with a Norwegian pop star. As soon as I hit the note for “TAAAAAKKKKEEE!” — badly, as it was in my balls-strangled version of high falsetto — the window in the row behind me on my right shattered and scattered all around D and A’s seats. D was closest to the window, and she was unhurt, but we had to stop for about ten minutes. Everyone was laughing this nervous, “this-is-funny-but . . . ” laugh, like audience members laughing at a Richard Pryor joke. Five of my classmates all but gave me a sarcastic standing ovation. After all, it turned out that no rocks or stones were found on the bus, and there wasn’t a sign of a sniper anywhere. All we could think was that I’d dialed up the correct frequency and shattered a glass window that may’ve been weak already from everyday wear and tear. I thought it was amazing to generate that kind of power with my voice. Even if it meant that I’d get flack for it. But that’s not all I took from that day. I’d accidentally become more than an acquaintance with SD. Not only did I eventually go and buy a-ha’s Hunting High and Low. I appreciated all of her ’80s pop music. From Heart’s “What About Love” to Scandal’s “The Warrior” — it’s listed in our yearbook as SD’s favorite song. I picked up a writing habit that I use to this day, putting a dash through my 7’s and Z’s to make sure to distinguish them from 1’s and S’s. It was a fun trip for me, even though most in my class would’ve likely preferred a trip to Grand Central over Albany and FDR’s mansion. It was fun because I had made a connection that would lead to friendship.